Follow the promising scent of freshly made gourmet creations at the highest level of taste and quality. In addition, you can expect soft cushions made of fine loden, shiny silver cutlery, wild mountain wood and natural spatial comfort in the upscale Salzburg country house style. 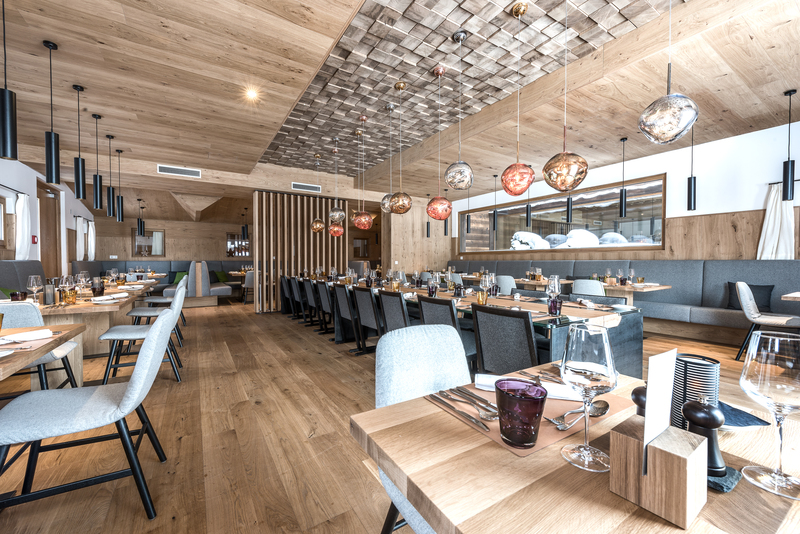 In the modern alpine interior design of our restaurant, you can expect boundless coziness, fantastically varied haute cuisine made from the finest ingredients and the famous Austrian hospitality in the middle of the magnificent Leogang Mountains. Is there anything better after an exciting day in the mountains than spoiling yourself with a first-class menu in our Alpine restaurant? 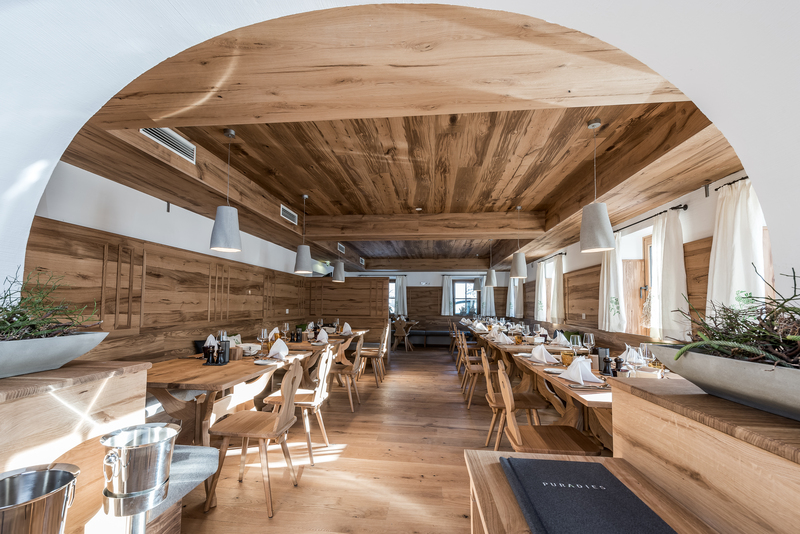 The love for high-quality food, boundless creativity, attention to detail, aesthetics and finely trained senses for taste, freshness and quality, are the attributes with which we convince you in the PURADIES in Leogang. 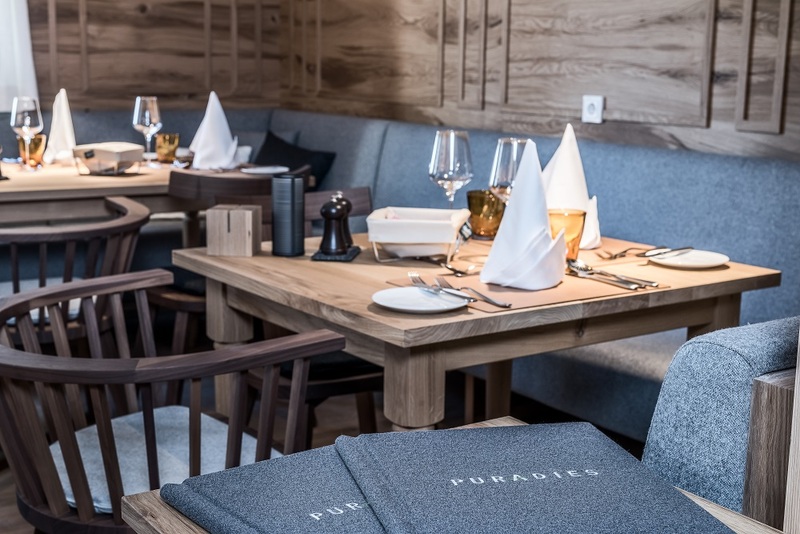 Enjoy regional and international creations in the PURADIES restaurant and immerse yourself in a world of healthy light flavour of first-class and natural organic and natural first-class products straight from Austria. Inspired by the rugged mountains and fresh forests, the look of our brand-new restaurant reflects Austria's gentle, natural beauty. Allow yourself to be amazed by the taste of nature in our restaurant and send your senses on a pleasure trip around the world. We live in the fabulous time of the return to the basics. 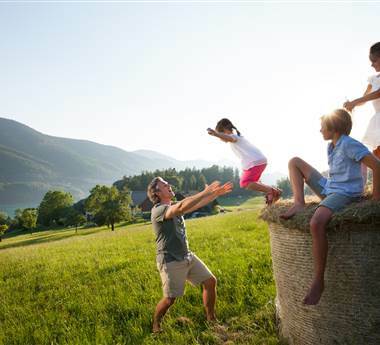 Sports, recuperation, clean mountain air and natural foods are an expression of the healthy lifestyle we at the PURADIES chalet village and hotel in Leogang celebrate. We treat ourselves to the luxury of the best organic ingredients and know of their invigorating effects on the body and soul. At the Embachalm we will send your senses on a journey through the flavours of Austrian specialities and first-class meals made with the best organic products.